Versatile, super compact, and lightweight 96-bass chromatic button accordion with double tone chamber. It has 82 buttons, 4 voices, 8 registers on the right hand and 4 voices, 4 registers on the left hand. Ideal for live performances with double 16' reeds. See the customizing guide for all available options. The Fun Flash manages to combine everything from the epic proportions of classical music to the experimental character of jazz, while adding an exciting new look to it, as well. The voluminous, powerful sound allows you to carry your listeners off into the worlds of orchestra music just as much as into the world of death metal – an acoustic rollercoaster ride just waiting to happen! 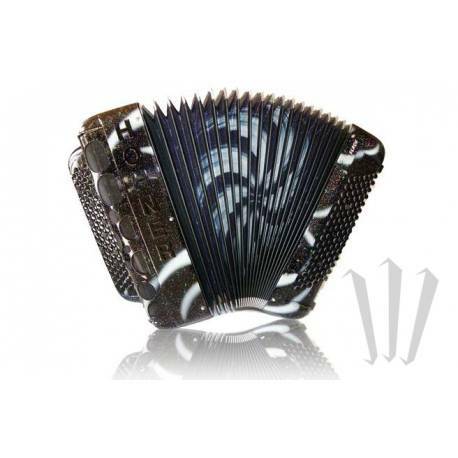 Played by artists like Julez Holzmann or Heinz Hox, this accordion is designed for advanced and professional players, and can be heard on recordings of any thing from German folk to pagan metal. The typical accordion sound is generally associated with folk, such as sea shanties, Oberkrain ethnic, polka, waltz, and more. What many wouldn’t expect is that the accordion also sounds great in pop, rock, and even punk or death metal! To meet the requirements of these new ar tists, we draf ted the Fun Line Series. 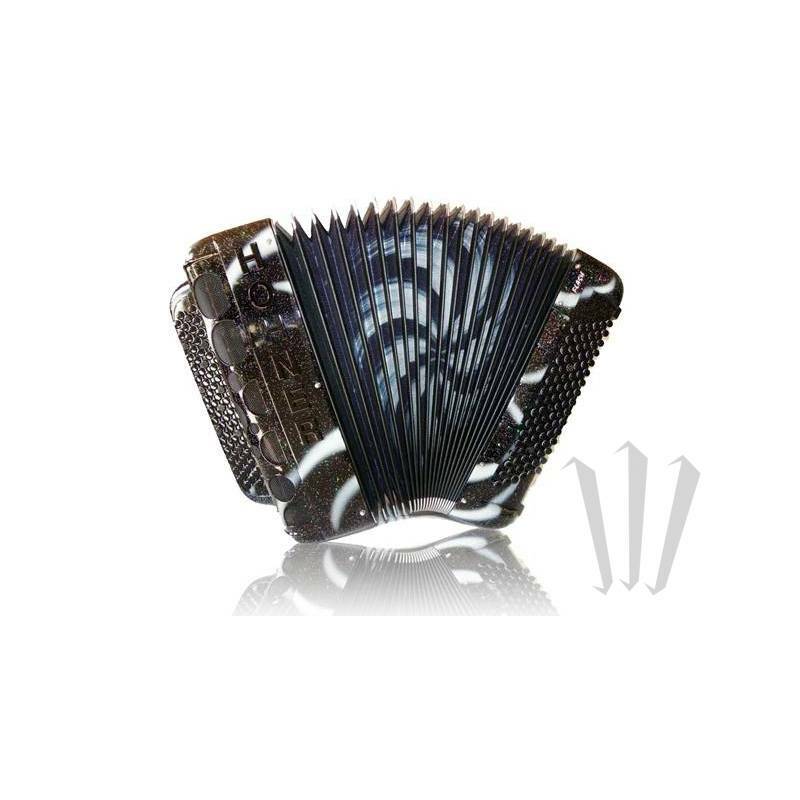 Designed by Frédéric Dechamps, the goal was to create an accordion that would have the typical, voluminous HOHNER sound, combined with a new look, ergonomic design, and fast ar ticulation. The result spawned a series that is favored by world-class accordionists of all genres. The series is audible on recordings ranging from classical music to death metal. But it ’s not just the sonic qualities that make it so versatile: It’s the look, which can be adjusted individually for each musician, making the accordions of the Fun Line Series 100% yours.